Happy Halloween! This week, we can smell the leaves floating through the air, see the pumpkins on each doorstep and even hear children laughing as they prepare their costumes for trick-or-treating. 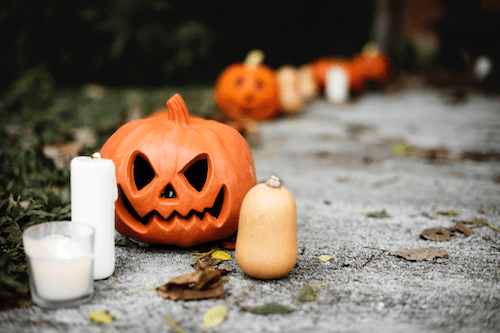 But, Halloween is more than just a festive holiday for children and families to partake in; in fact, it’s actually an enormous marketing opportunity for small businesses. According to The Balance, Halloween retail spending has grown by more than $1 billion since 2012, with the average buyer spending approximately $86.79. This means if a small business isn’t on board with Halloween marketing, then it is missing out on a huge potential selling point. But with Halloween just around the corner this week, how can your business join in the festivities? Here are a few spooky good marketing tricks to consider for Halloween. There’s no doubt about it: Halloween is an extremely social holiday. So naturally, one of the best marketing tricks you can take advantage of this week is to share about Halloween on your social media pages. Post about how the business prepares for Halloween, post about Halloween sales or promotions and even post on the day of Halloween. Clients will be talking about Halloween this week, so join in the conversation online through social networking. 2. Dress up for Halloween. And of course, what’s one of the best things to post about Halloween? Team members dressed up for the occasion! Encourage other team members to dress up around the office for Halloween to get into the spirit of things. Particularly for B2C brick and mortar locations, this tactic is a great way to spark conversations with customers and encourage them to buy. Even for B2B companies, dressing up for Halloween can show more of your internal brand and make clients feel connected to the business. If you work with a brick and mortar business, why not throw up a few cobwebs and pumpkins around the office? Decorating for Halloween is a simple way to get into the season and engage with customers. On the day of Halloween, you could even offer clients a bag of goodies or treats, so they really see how the business identifies with the community. 4. Host a contest for Halloween. Speaking of engaging with the community, consider hosting a contest this Halloween. Whether it’s a costume contest, pumpkin carving contest or even a food contest, this methodology is the perfect way for small to midsize businesses to market within limited budgets and resources. Host the contest in-store, or take it online with social networking. In fact, themed contests like these are the perfect way to promote user-generated content (UGC), which you can use time and again. And of course, be sure to offer a substantial prize for the winner, so consumers will want to come back next year. 5. Incorporate products for Halloween. Finally, don’t forget to incorporate your products or services into the Halloween theme every step of the way. Be creative in how customers can use your goods within their own Halloween planning. For instance, a printing company might promote their paper products as the perfect option to use when sending out Halloween party invites. Think outside the box and make your marketing messages fun and creative when connecting with consumers this Halloween. Halloween is a huge opportunity for businesses to get on board with and market to customers. Be sure your team is ready for it this week by taking advantage of these spooky good marketing tricks. Then, see how you can engage with consumers and grow your business on Halloween.